It is the weekend again and i hope everyone had a great trading week! Allow me the grumpy old koala to remind you again that proper money management is crucial. A lack of it is a sure ticket to the margin call party. In the last review, we noted apprehension and even risk aversion plaguing the EUR/USD due to the uncertainties regarding the speculated upcoming quantitative easing by the US Fed. 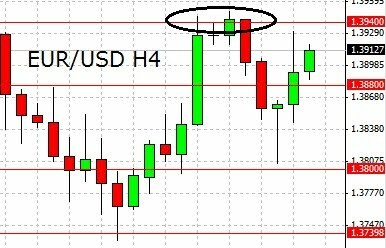 The failure to clock a new high by the currency pair and having to close below 1.4 again encouraged further calls of a reversal. The first step towards this would probably mean a clean break below 1.38. Looking at the EUR/USD Chart above, while we did cross below 1.38 briefly, a clean break was missing and the currency pair mainly ranged between 1.38-1.4. During the first part of the week, US equities were strong and the better than expected US Existing Home Sales probably caused renewed confidence that the US economy would pick up in it’s recovery. Having said so, later part of it saw increased risk aversion. A report mentioned that Greece was likely to default within three years. Furthermore, the US dropped in rank in a global ranking of corruption. Midweek saw continued bearish pressure on the EUR/USD. Traders were concerned about the upcoming FOMC statement due on Nov 3rd and risk appetite was probably suppressed. The increase of interest rate in China probably caused concerns as many investors hoped that China can bring the world out of the crisis. Towards the end of the week, we noted better than expected US Unemployment Claims. Risk appetite came back and soon the currency pair rose. Having said so, the general sentiments remained rather apprehensive and hence no major trends was observed. It is clear from the looks of the chart above that the EUR/USD has been ranging for sometime now. The main reason for this is probably the speculations surrounding the new round of quantitative easing. Investors are worried how this may impact the US Dollar. An excessive amount of currency floating around may weaken the US Dollar. November 3rd will bring us the FOMC statement event and it is greatly speculated that the quantitative easing plans will be announced then. Concerns were also reported with regards to the amount of the quantitative easing package should it be brought to reality. It is feared that an insufficient amount may render the package ineffective. From a technical point of view, the EUR/USD remains bounded by the lines of 1.38 and 1.4. No clear direction is seen for now and apprehension weights down the currency pair. Next week brings us many economic data including the US Non-Farm Payroll. You can find the list of the various economic releases in the Economic Calender below. Quantitative Easing. What Why How? The EURUSD remains indecisive this week. We have three Dojis in the last three weeks indicates consolidation with no clear direction and consistent momentum. Last Saturday, I wrote about how CCI can not move consistently above 100 or below -100 and the situation remains the same so far, as you can see on my h4 chart below. This situation is similar to what happened around mid-August to mid-September before a new clear direction (bullish) can be seen from mid-September to the first week of October where CCI maintain position between zero line and above 100 indicates consistent, clear and strong bullish momentum. We still have the bearish channel since the bearish movement from 1.4158 so overall the bearish bias remains intact, unless price violate the bearish channel to the upside and consistently move above 1.4000 re-testing 1.4158 even 1.4400 region. On the downside, 1.3700 could be a key support level at this phase, and a clear movement below that area not only could trigger further bearish pressure, but a potential bearish reversal scenario at least testing 1.3600 – 1.3500 area. Smaller time frames like hourly and 30 minutes chart may still give benefits to intra-day traders for the upcoming week. Today is Friday and soon it is the end of the trading week. As usual, i hope you are green with wonderful pips. Do remember that forex is never about becoming rich overnight. Slow and steady wins the game! In the previous review, we noted that the US Unemployment Claims came in better than expected. This probably brought about some optimism with regards to the employment crisis of the US. We also noted concerns from China with regards to the printing of US Dollars. Looking at the EUR/USD chart above, we can see the bearish run earlier, probably due to risk aversion caused by the German Retail Sales which came out much poor than expected. The move was rejected by the strong support of 1.38 and since then, the currency pair eased off and attempts to test the line of 1.3940. We may see resistance here as the line did fend off a previous bull attack. The US GDP data came in rather on forecast and mixed signals were felt. Some investors are probably concerned that the Fed may do less than expected to stimulate the US economy. As we close the week, apprehension probably continues to plague the market with the November 3rd FOMC statement coming closer. With Halloween on Saturday, I thought you would find this picture from Ft/Alphaville amusing. What is not amusing, however, is that the Fed is likely to cause a period of discomfort for many Americans in its efforts to “fix” what ails the economy. In other words, the “cure” is likely to be worse than the illness. First, I am coming around to the opinion that the Fed only got two things right in its entire history; Volker’s battle against inflation in the early 80’s and Bernanke’s emergency measures of late 2008 and 2009. But the problem is that both of these situations were caused by lousy monetary policy in the first place, which leaves one thinking that perhaps all of this new QE, taking place as it will with the economy in non-crisis mode, is not only unnecessary, but dangerous. Either way, though, Mr. Bernanke’s new quest to raise the rate of inflation is bound to hit many people around the world right in their pocketbook. When policy rates are at the zero lower bound, the higher inflation induced by the shock can lead to lower real rates, stimulating the interest-sensitive sectors of the economy, and offsetting the usual contractionary effects of the shock. In fact, if the increase in oil prices occurs gradually, it can induce a persistent rise in inflation that might even cause GDP to expand temporarily. These lower real rates in turn crowd in investment, amplifying the effects of the government spending shock. Of course, inflation will affect prices on anything where the demand is inelastic (think food). And with the enormous amount of slack in the economy it is the little guy who is going to do the paying because as real interest rates decline while inflation increases, so too will the real wages of salaried workers. In other words, if you are not in a position to increase your nominal wages, you are about to be led to the slaughter. And of course, any business whose demand for its goods or services will vary according to price is about to face the same fate. As it turns out, Mr. Bernanke got QE1 all wrong to begin with because as noted in a 2003 paper by NY Fed economist Gauti Eggertsson, QE “will only work if it is part of a broader strategy to raise expectations of future prices levels,” something which QE1 never addressed in the first place. But no matter what, the Fed will not be able to get the over 8 million Americans who lost their jobs back to work because it’s likely that many of their skill sets are entirely wrong. In other words, the employment situation probably has more to do with structural problems rather than cyclical ones. The economy just does not need as many construction workers right now, and it will not need them in the foreseeable future. It will also need far fewer of the other types of jobs associated with housing (and housing bubbles) since the sector will remain in a deep depression for years to come. Aside from that, corporations found out something very important in the Great Recession: they just did not need as many workers as they had. Productivity is off the charts, which means that firms can do much more with far fewer employees. So, no matter if the Fed buys every asset in the world, no company, small or large, will hire more workers if their bottom lines are increasing with the amount of workers currently on staff. The EURUSD had a bullish momentum yesterday, topped at 1.3950 and closed at 1.3943 but traded lower around 1.3890 at the time I wrote this comment. On h1 chart below we can see price is moving inside a minor bullish channel but the bullish channel is now being tested to the downside. We know that price is still consolidating without clear direction in the last three weeks with inconsistent momentum. A break below the minor bullish channel and a consistent move back below 1.3890 could trigger further bearish movement testing1.3800. On the upside, we need a clear break above 1.3950 to continue the bullish momentum testing 1.4028 and the upper line of the major bearish channel. The EURJPY continued its bearish momentum today, hit 111.89 at the time I wrote this comment. The bias is bearish in nearest term testing 111.60. Clear break below that area could trigger further bearish pressure targeting 110.65 – 110.00. Immediate resistance at 112.97 (current high). Break above that area could trigger further upside momentum testing the upper line of the bearish channel but only a violation to the bearish channel could be a threat to the current bearish outlook testing 113.75 and 114.65. The GBPJPY had a significant bearish movement today, slipped below the minor bullish channel as you can see on my h4 chart below indicates potential bearish pressure testing 127.62 before testing 126.43. Immediate resistance at 129.29 (current high). Break above that area could trigger further upside momentum testing 129.82 and the upper line of the bearish channel. The AUDUSD is in critical phase now, a consolidation to find a clear direction. On h4 chart below we can see price still struggling around the lower line of the bullish channel. Immediate support at 0.9700. Break below that area could trigger further bearish pressure testing 0.9650/00 area and could be a threat to the bullish outlook as a bearish reversal scenario could be produced. On the upside, a clear break above 0.9793 could keep the bullish scenario intact testing 0.9917 – 1.0000 key resistance area. The USDJPY had a bearish momentum yesterday, bottomed at 80.86 and hit 80.53 at the time I wrote this comment after failed to make a clear break above 81.95 as you can see on my h4 chart below. The bias is bearish in nearest term especially if break below 80.40 testing 80.00 and 79.70 area. On the upside, another move above 81.07 (current high) could lead us back to neutral zone and range condition with 81.95 as key resistance area.